If you are a native Houstonian or just visiting the area, finding a delicious margarita is a must-do. The many varieties of the cocktail that you can find around Houston are incredible these days. Throughout the year, you will be able to find traditional margaritas, seasonal margarita recipes with fresh fruit, infused tequila margaritas and cocktails utilizing one of many varieties of peppers. Fortunately, in Texas, due to the weather, margaritas are perfect for any season. Below, we have listed some of the best margaritas in Houston. 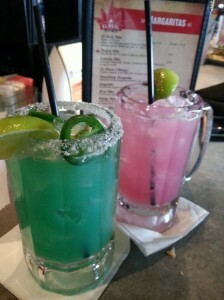 Cyclone Anaya’s – 1710 Durham Dr, Houston, Texas 77007 – Margaritas are always mixed to a perfect ratio. 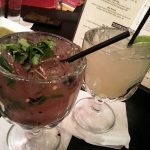 El Big Bad – 419 Travis Street, Houston, TX 77002 – You can’t go wrong with choosing your own infused tequila and creating your own margarita on the fly. El Real Tex Mex – 1201 Westheimer Road, Houston, TX 77006 – Solid menu offerings and the Rodeo Rita has a nice jalapeno kick. Ninfas on Navigation – 2704 Navigation Blvd., Houston TX 77003 – Ninfa’s on Navigation is always a favorite of ours. Their seasonal offerings including fresh bing cherry margaritas and the pumpkin margarita are Houston favorites. Picos Mex Mex – 3601 Kirby Drive, Houston, TX 77098 – Pico’s Mex Mex has been serving up fresh margaritas with quality ingredients for years. Soto’s Cantina – 10609 Grant Road, Houston, TX 77070 – Soto’s is a family owned restaurant. They also took first place for best restaurant/bar margarita in the Texas Tequila & Margarita Festival at Moody Gardens in Galveston Texas in 2014. 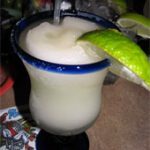 Tila’s Restaurante – 1111 South Shepherd Drive, Houston, TX 77019 – All of their margaritas are served “up” and you can add your own ice. 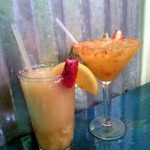 There are many other restaurants and bars in the the area that could be candidates for the best margaritas in Houston. What restaurants around Houston do you think serve the best? Is there a particular version that stands out as well? If you are interested in seeing what restaurant margaritas we have visited around the entire State of Texas and not just Houston, check out our interactive map. Thanks for visiting our list of best margaritas in Houston.